One thing that causes a lot of frustration with design clients is the lack of boundaries. Either the designer hasn’t set or maintained them or the client just doesn’t respect them. 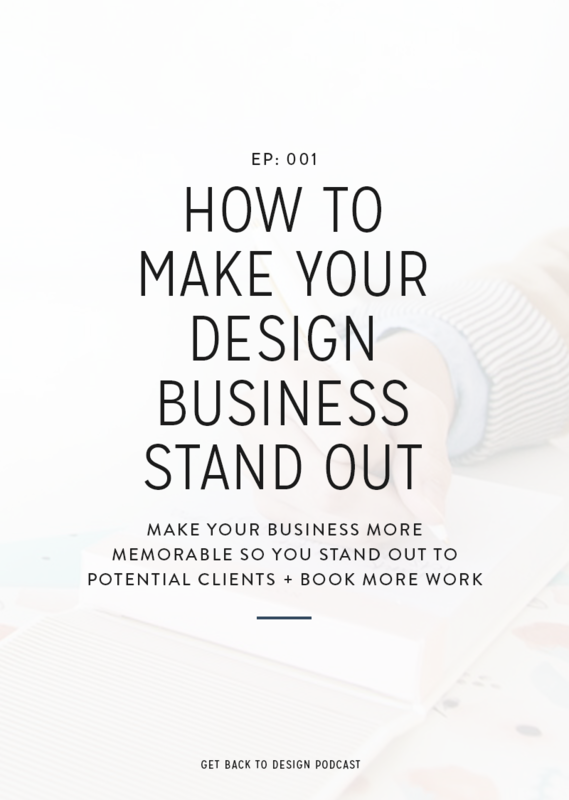 As hard as it is to do, you have to remember that you are the one in charge of setting boundaries and then making sure your clients stick to them during the project. Kory here! We’ve both experienced a lot of frustration in past projects due to us still learning what our boundaries are or not sticking to them even though we knew we should be. 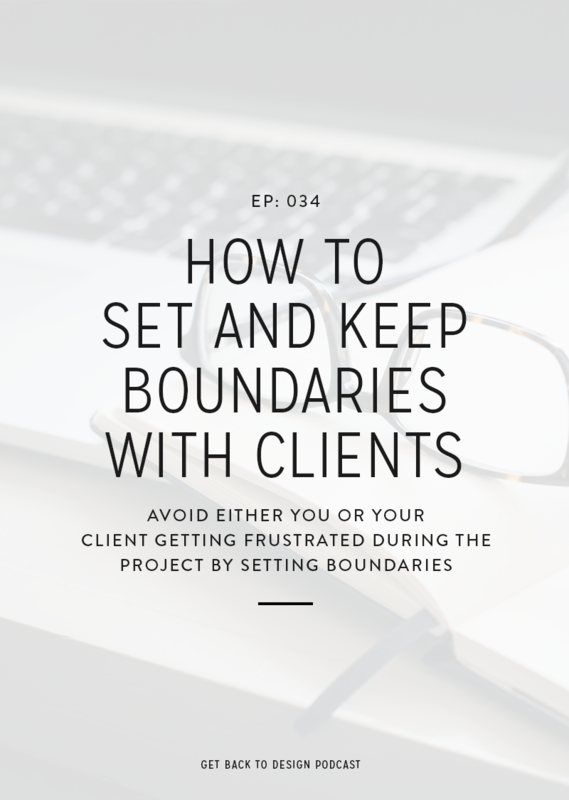 We don’t want you to go through those same struggles, so in today’s episode we’re covering how you can set and keep boundaries with clients. The first and most important step here is to make your boundaries known to even potential clients. This is because even though it’s not impossible, it’s still really difficult to try to go back and set them after you’ve already started the project. A great way you can let potential clients know about your boundaries is by including them in your onboarding materials. Make sure you’re listing things like your office hours and how long it’ll take to respond to emails on your Contact page and in your Intro packet. This gives you a chance to refer back to these places if your client is ignoring your boundaries. If you don’t respond to emails on the weekend, don’t be surprised if some clients aren’t used to that. Instead of just leaving them hanging, make sure they know that you’ll get back to them first thing on Monday or Tuesday at the latest. This will also help keep your clients from emailing you multiple times or checking in on social media if they don’t hear from you right away. This is where pretty much all designers go wrong with their projects. 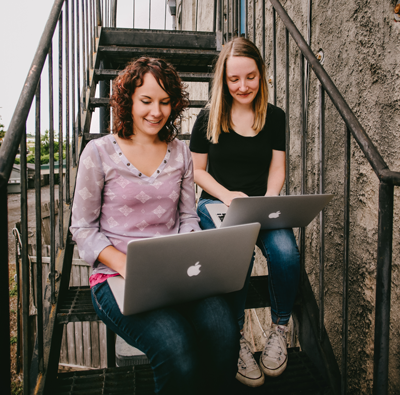 While we set our boundaries for a good reason, most people don’t want to seem mean or like they don’t truly care about the client or the project while they’re working together. However, I have some tough love for you: if you ignore your boundaries during the project, your client will as well. Not only that, but you’re setting yourself up for you to be the one that’s getting stressed out over those crossed lines. 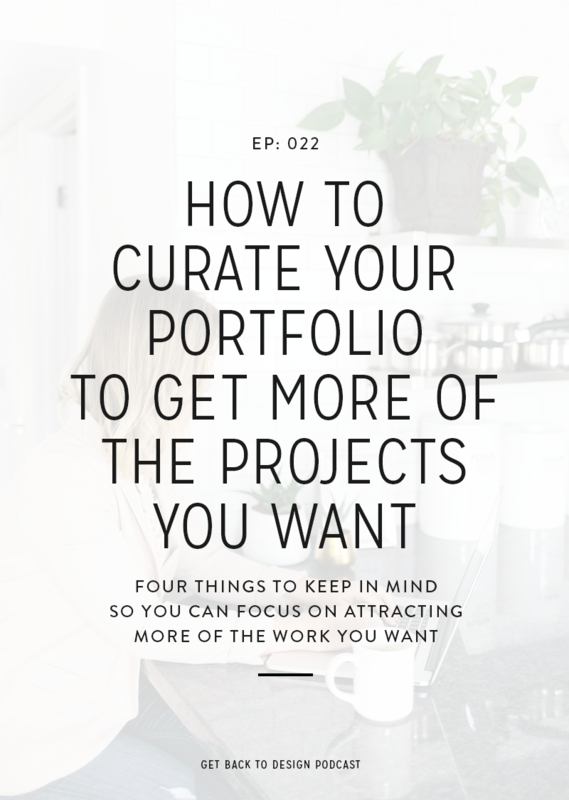 If you have strict project guidelines, like Krista, it’s important that you stick to them the very first time a client is going off track. If you bend and let your client get a payment or content to you late just one time, you can almost guarantee they’ll do it again. 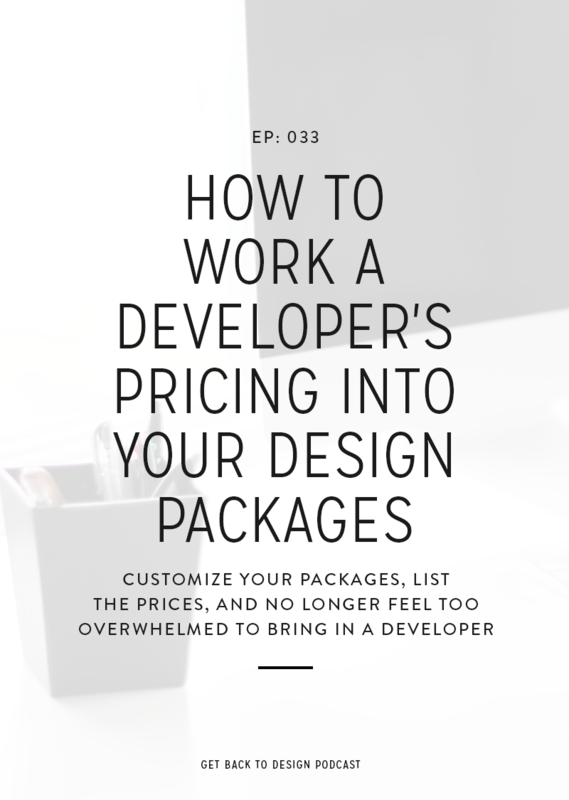 This can lead you to being behind in the project, which is only going to stress and frustrate you. Your client may not know or care about what being behind will do to you and your schedule. There will always be those clients that ignore your boundaries and just normal boundaries, in general. This may be because the client is impatient or they’re not used to working with people who have strict boundaries in place. 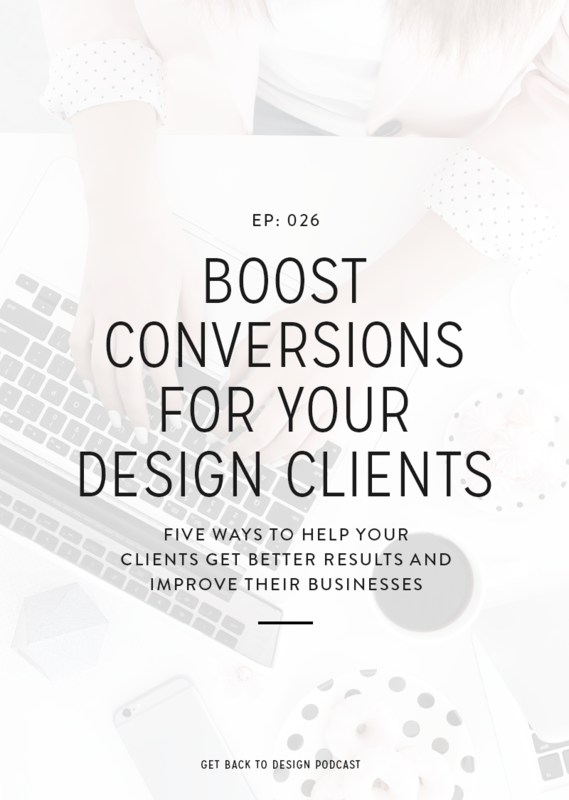 With these types of clients, it’s vital that you know the line you won’t cross with your boundaries and what you’ll do if the client oversteps. My first good example is that I won’t cross the line of discussing projects via social media. This may seem silly, especially since so many people are finding and booking projects via social media. However I’ve found that I don’t want to be on the hook for checking all of my platforms all of the time so I will not cross that line. By avoiding that, I can keep communication in one place and not worry about having to be plugged in at all times. If someone crosses this line, I simply remind them to let me know their thoughts in email or Asana. I also include a note about this in my contract. Another great example would be having work invade your personal space, and by that I mean giving out your personal phone number. Some people do this to book a call or because they think it makes them look better to be so available, but it ends up being really frustrating if / when the client crosses the line and starts texting or calling you at random hours of the day all days of the week. Instead, make sure your client knows that extra calls require additional billing and if nothing else, let them know you’ll respond to their texts or calls during business hours.